Dr. Sheth is a renowned scholar and world authority in the field of marketing. His insights on global competition, strategic thinking and customer relationship management are considered revolutionary. Dr. Sheth is the Charles H. Kellstadt Chair of Marketing in the Goizueta Business School at Emory University. 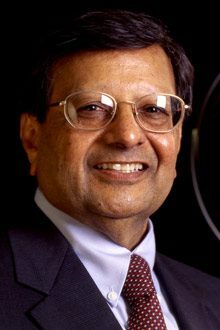 Prior to this, he was a distinguished faculty member at the University of Southern California, the University of Illinois, Columbia University and the Massachussetts Institute of Technology. Professor Sheth has published more than 400 articles and research papers in different areas of marketing and business strategy. He has written more than 40 books. Many of these are considered classic references. His timely advice promises to aid business leaders looking to develop immediate and long-term strategies for improving their competitive position. He is frequently quoted and interviewed by Fortune, Financial Times, The Economic Times, The New York Times, and The Wall Street Journal. He is also a regular guest and frequent commenter for major news networks: BBC, CNBC India, and CNN.